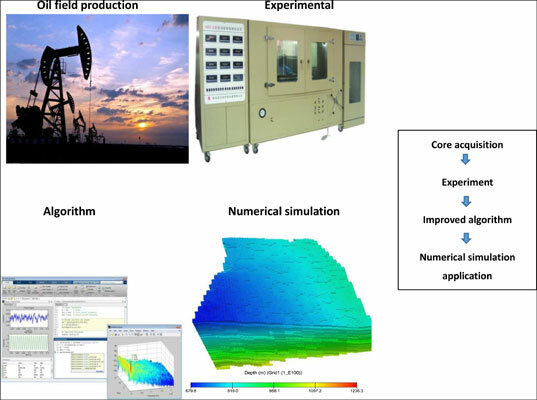 Background: The oil-water relative permeability curve is an important experimental data and basis for oilfield development scheme and dynamic prediction. The characteristics of oil and water relative permeability curves in different reservoirs are otherness. Objective: In order to enable various effects to be reflected in the standardized relative permeability curve, the standardized relative permeability curve can reflect the characteristics of each core. Method: The core is taken from core wells in a similar flow unit. The oil-water relative permeability curves are measured by indoor physical simulation experiments. The oil-water relative permeability curves of representativeness and conforming to hydrodynamic characteristics are screened. Because the porosity and permeability of different cores have different effects on the relative permeability curve, the weight of the porosity and permeability of each core is added to the standard relative permeability curve in the process of solving standardized relative permeability curve. Results: A new method that the weight method to be used to solve the problem of the standardized relative permeability curve is obtained. The comparison of the new method and the average method shows that both of them are highly consistent. Conclusion: The patent on the solution of the relative permeability curve is improved. Considered the effect of different cores of porosity and permeability on the relative permeability curve. Calculated the weight of the porosity and permeability of different cores. The representative normalized relative permeability curve is obtained by using the weight method. Carbonate reservoir, relative permeability curve, weight, standardization, analytical expression, waiting method.